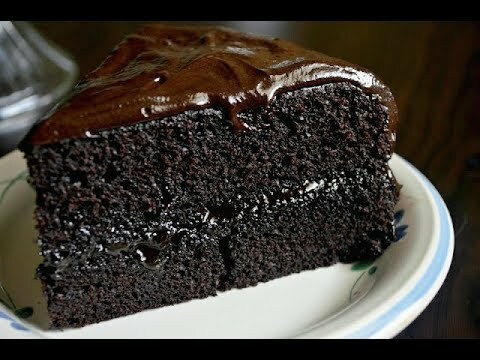 Chocolate Cake in a Pressure Cooker Recipe| Chocolate Cake Recipe: A no bake chocolate cake made on the stove top. Delicious and spongy, this chocolate cake is a keeper for days when you are craving cake but have no power! A simple cake recipe with easily available ingredients. 1.In a mixing bowl, sift the flour, cocoa powder and baking powder. 2.Add in the butter, sugar, salt, water and vanilla, and beat the ingredients using a whisk. 3.Add the eggs and beat the batter until smooth. 4.Transfer into the baking tin. 5.Heat the pressure cooker, covered with the lid but without the pressure, for 3-4 minutes on high heat, then place the cake tin in the empty cooker (do not add water in the cooker). 6.Close the lid (without the pressure), lower the flame and let it cook until done (about 30 minutes).